OzTent King Goanna Camping Cot Stretcher is a huge steel construction suitable for tall people, a padded cot, easy to use, and with a nice carry bag. OzTent King Goanna Camping Cot Stretcher. Ozark Trail XXL Weather-Resistant Deluxe Cot with Side Organizer is a very large cot with a huge capacity, a great choice for tall and heavy people. Ozark Trail XXL Weather-Resistant Deluxe Cot with Side Organizer. The Earth X-Tra Big Military Style Cot is a large cot which comes with several useful bonuses, a nice carry bag, and a really affordable price tag. Earth X-Tra Big Military Style Cot. Texsport Deluxe Folding Camp Cot is a reliable military style cot with an adjustable bed deck with Velcro tabs. Being on the market for many years, this is a very popular cot with a great price tag. Texsport Deluxe Folding Camp Cot. In this Slumberjack Big Cot review you can read about the largest single cot on the market, it shares the top spot with yet another model, but there is nothing larger available. So this cot is built for very tall and heavy people. Slumberjack Big Cot – steel frame. Texsport Black Bear Colossal Folding Camp Cot is one of the largest cots on the market with an impressive size and capacity suitable for tall and heavy people. Texsport Black Bear Colossal Folding Camp Cot. Tough Outdoors Camp Cot XL with Free Organizer is a military-style sturdy and strong cot. With the bed size 83 x 32 inches it is suitable for very tall people. PORTAL 83 XL Heavy Duty Folding Portable Camping Cot is a new item on the market, a very large military-style cot suitable for tall people, and with a strong steel frame. 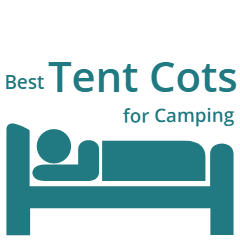 If you need a reliable and padded cot, this OzTent Gecko Camping Cot Stretcher review is for you. This is a very stable and strong military style camping cot. OzTent Gecko Camping Cot Stretcher. Coleman Trailhead Easy Step Cot is a unique military-style cot without end bars, so it is an instant-setup cot. It comes with a bonus side table and a storage pocket. Coleman Trailhead Easy Step Cot. 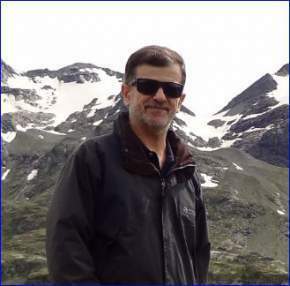 Hi everybody, my name is Jovo, I am the founder of this site. Are you getting ready for camping? In this site, you will find all tent cots available on the market.